As a construction company, you know the importance of having a professional design before you begin building a home, office building, hospital or some other residential or commercial structure. The same is true when exhibiting at a building or construction trade show, where a professionally designed trade show display is essential for making an impact on booth visitors. Since 1991, ExpoMarketing has been providing construction industry companies with cost-effective rental construction expo booths that capture the attention – and the business – of attendees. Widely recognized as the pioneer of the rental booth industry, we maintain one of the largest booth rental inventories on the market. We offer many award-winning designs to choose from. And our expert design and build professionals create eye-catching rental booths that provide a custom look and feel without the high cost of booth ownership. Chances are good that your competitors are already taking advantage of this popular, cost effective approach – you just don’t know it. 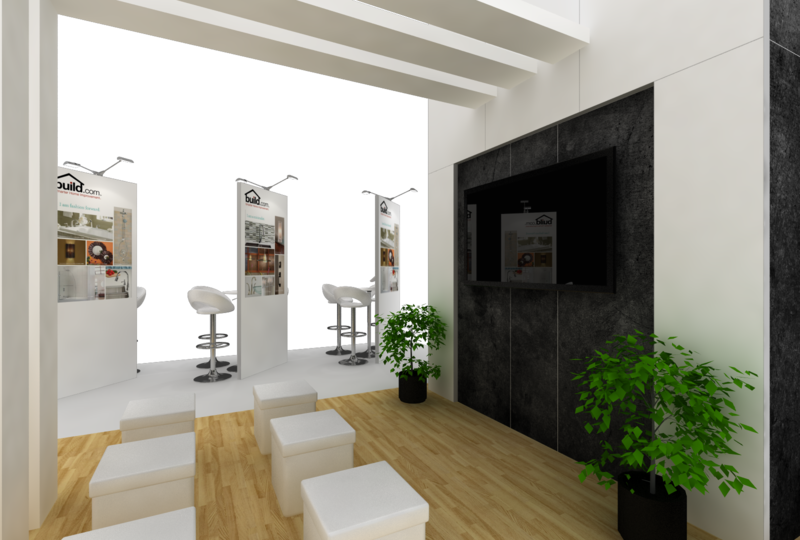 Experienced exhibitors know that a building trade show booth is the smarter option – even for construction companies that may be used to building their own. You can rent professional looking displays for a fraction of the cost of owning a booth, and you don’t have to worry about ongoing maintenance costs. Renting enables you to easily change sizes between trade shows or convention. (ExpoMarketing offers unlimited size options, from 10’ x 10’ all the way up to a full-sized 50’ x 50’ display or larger.) Renting a construction trade show display booth also helps avoid extra fees for maintenance, refurbishment, pull and prep, and storage. See more top building and construction trade shows at the ExpoMarketing trade show calendar. There’s a lot going on in the building and construction industry these days. Prefab and offsite construction methods are becoming more popular. Building information modeling is growing in popularity and usage. Green building materials and methods are increasingly in demand from construction consumers. Laser scanning technology is having a greater impact on building modeling, allowing for more precise measurements and data points. Everywhere you look, construction companies are employing new tools and technologies to advance their ability to build state-of-the art housing and buildings for their customers. If you’re going to invest the time and money in marketing your business at a highly competitive construction expo, it only makes sense to go with the rental booth company that offers innovative designs that can help you stand out from the crowd. 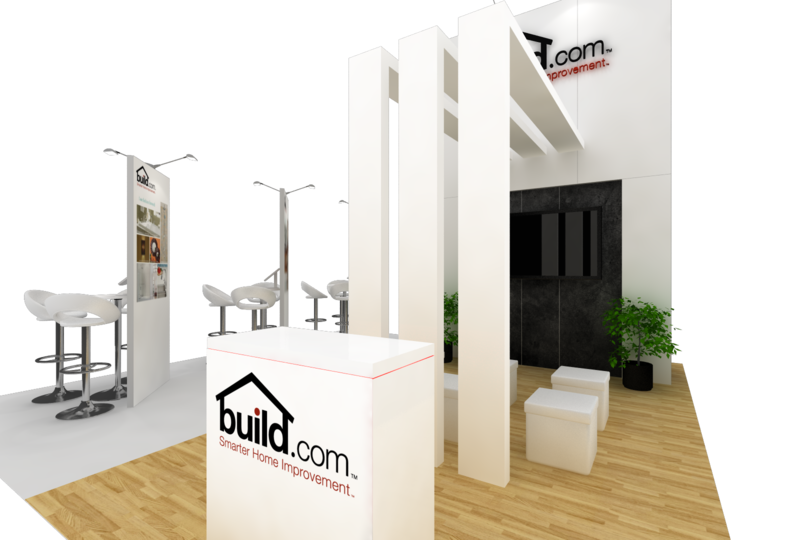 ExpoMarketing has 25 years’ experience designing and building rental booths for building and construction companies, so we know what it takes for your business to make a real impact at a construction trade show. If you want to dazzle booth visitors with an eye-catching display at your next industry convention or event, give ExpoMarketing a call at (800) 867-3976.